OSA SH Series demolition steel shears have been designed to deliver unmatched power and performance and are engineered to achieve optimum power-to-weight ratios in both primary and secondary demolition applications. 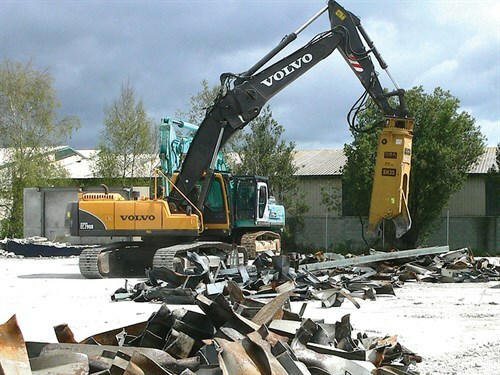 Hamilton-based Waikato Demolition Ltd has been operating an OSA SH 35 demolition steel shear for the past two years and have been impressed with its performance. "We purchased it to help with some of the specialised projects that our company undertakes," company director Andrew Proudlock says. "It packs real punch, and our first impression of its power-to weight ratio performance was quite staggering. It has made a real contribution." 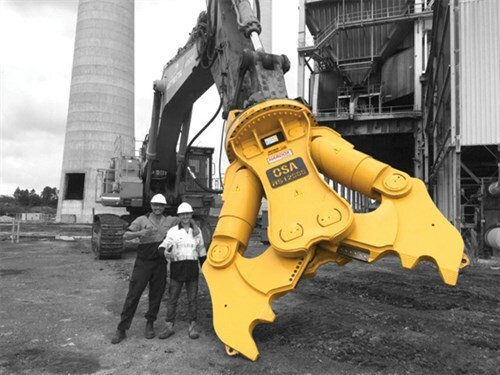 OSA is recognised as the benchmark for demolition equipment. Their world-leading range of demolition attachments is the brand of choice when it comes to the demolition of concrete structures and then processing of concrete, demolition of steel structures, scrap yard processing, and demolition handling equipment. "When it comes to unrivalled power and performance, OSA products are world beaters,"
Boss Attachments director, Paul Herbison, says. business we are getting, they are more than meeting client expectations." Boss Attachments Ltd distributes the technically advanced, quality-proven OSA range throughout New Zealand, Australia, and the Pacific Islands. In addition to demolition shears, the Italian-manufactured OSA range includes demolition tools, pulverizers, multi-systems, hammers, and rotating grabs. "Over the past 18 months, we have sold more than 50 OSA products on both sides of the Tasman, ranging from a 500kg baby MC 5 to a giant 13-tonne RS 1200." For more information, call Paul Herbison on 027 290 8306 or e-mail paul@bossattachments.co.nz. TransDiesel has been appointed as the New Zealand distributor for Ammann light compaction equipment.